SNEB approves the Advisory Committee on Public Policy (ACPP) motion to sign on to a letter strongly urging the 2018 Farm Bill conferees to protect and strengthen SNAP in the conference by rejecting cuts to SNAP and adopting the Senate's Farm Bill SNAP provisions. The letter has been sent to the Farm Bill conferees and leadership. Read the letter here. Program evaluation is an important part of determining any intervention's success. In this presentation, we will discuss the study design and methodologies used to evaluate a new farm-to-school program. Specifically, the benefits and drawbacks of the quarter-waste method will be discussed within the context of evaluating school-level nutrition interventions. Adapting to the Emerging Growth and Evolution of Health Promotion: How Do Employers, Clinicians, Health Promotion Providers and Communities Need to Adapt to Benefit from the Emerging Growth and Evolution of Health Promotion? 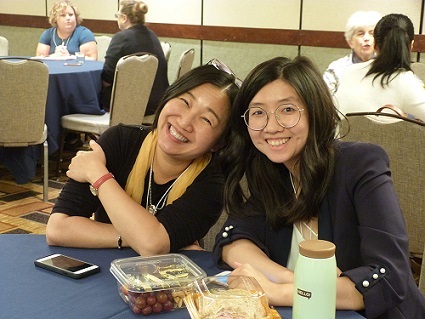 This conference brings together health promotion professionals from across disciplines and settings — for an experience filled with learning, sharing and connecting with others who share your passion for health promotion.